Copyright does not protect ideas, concepts, systems, or methods of doing something. 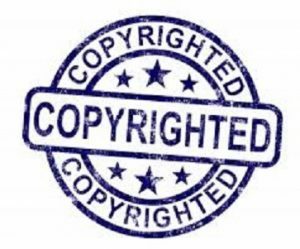 You may express your ideas in writing or drawings and claim copyright in your description, but be aware that copyright will not protect the idea itself as revealed in your written or artistic work. Protection for your idea may be available under patent law. Contact a patent attorney for more information. Copyright law does not protect sightings. However, copyright law will protect your photo (or other depiction) of your sighting of Elvis. You may file your claim to copyright online with the electronic Copyright Office (eCO). For more information on registering a copyright, see SL-35. No one can lawfully use your photo of your sighting, although someone else may file his own photo of his sighting. Copyright law protects the original photograph, not the subject of the photograph. Yes. Architectural works became subject to copyright protection on December 1, 1990. The copyright law defines “architectural work” as “the design of a building embodied in any tangible medium of expression, including a building, architectural plans, or drawings.” Copyright protection extends to any architectural work created on or after December 1, 1990. Also, any architectural works that were unconstructed and embodied in unpublished plans or drawings on that date and were constructed by December 31, 2002, are eligible for protection. Architectural designs embodied in buildings constructed prior to December 1, 1990, are not eligible for copyright protection. See Circular 41, Copyright Claims in Architectural Works. Can I get a star named after me and claim copyright to it? No. There is a lot of misunderstanding about this. Names are not protected by copyright. Publishers of works such as a star registry may register a claim to copyright in the text of the volume or book containing the names the registry has assigned to stars, and perhaps the compilation of data; but such a registration would not extend protection to any of the individual star names appearing therein. Copyright registration of such a volume of star names does not confer any official or governmental status on any of the star names included in the volume. For further information on copyright protection and names, contact a copyright lawyer or see Circular 34, Copyright Protection Not Available for Names, Titles, or Short Phrases.